Online marketeer, SEO & SEA (AdWords) specialist en founder: OnlineMarketing.nl! Marketing in the Digital Age requires strategy, tact, and successful implementation. Digital marketing can be overwhelming, but with the right digital marketing specialist or agency, it doesn’t have to be. Gone are the days of marketing solely on billboards, radio, and TV. The internet has taken over and along with it an endless supply of marketing strategies, platforms, and analytics. It’s your job as a business owner to determine what your business needs and how to best meet those needs. But, what if what your business needs is beyond your scope of expertise? You may be well-versed in accounting, employee management, and sales pitches. You’ve hired the right people and have an amazing gut instinct. Yet, you’re still struggling to effectively reach customers and your target audience in the Digital Age of marketing. So, how can you find the best digital marketing specialist to help you grow your business? Read on to discover how to find the best digital marketing specialist to meet your business’s needs. Trusting an outside company with our business’s growth is a challenging task. We all want to keep up with the latest marketing trends, but also want to receive quality service as paying customers. Explore the following tips for finding the best digital marketing specialists so you can successfully reach your target audience on the world wide web. Less than 20 years ago in 2000, nearly 50% of Americans were not using the internet. In 2018 nearly 89% of Americans used the internet with senior citizens being most likely to not use the internet. The Internet’s influence on how people now interact with businesses called companies to reassess their marketing needs in order to grow their business. This change required some flexibility. It required business owners to reevaluate their business’s goals and marketing strategies. So, what are your business’s goals and needs in the Digital Age? Do you need a full digital marketing strategy? Do you have a digital marketing strategy, but need a digital marketing specialist to implement it for you? Do you need help with creating and optimizing your website? What type of interactions do you want to have with customers on the internet? What types of digital marketing services and platforms would you like to use to reach customers? What digital marketing trends are most successful in your industry? And lastly, what’s your budget? The more questions like these you can answer the better. Knowing exactly what your goals as a business in the digital marketing sphere are will help you to determine which digital marketing specialist is the right choice for your business. Digital marketing specialists and agencies may offer or claim to offer a variety of digital marketing services. Ask potential digital marketing specialist candidates directly what marketing services they offer. Discover what their specialties are. Ask what marketing campaigns have been most successful for them in the past. Lastly, figure out exactly who they have on staff and how many people will be working on your marketing campaigns. If you’re interested in content creation, then ask the digital marketing specialist if they provide this service. If you need your website to be upgraded to improve SEO then make sure that the company has a staff member who is an expert in this field. Some digital marketing specialists outsource aspects of your digital marketing to third-party services. Determine if this is something you’re open to, and if not, move on to another company. Search engines use algorithms to present users with relevant content. Search Engine Optimization or SEO is a practice that aims to optimize your website and content to rank higher in search engine results. It involves strategies such as improving loading times, using keywords, and incorporating internal and external links. A digital marketing specialist can help you to improve your current website and content by conducting an SEO audit. They can help you to create new content as well using SEO best practices. GoogleAds helps to connect potential customers with businesses by investing in ad space on Google. When someone searches for a product or service they use keywords. If the keyword matches a GoogleAd keyword, Google presents them with Google Ads matching their needs. By investing in certain keywords, you reach your customer when they need it most which can convert clicks into sales. Social media platforms such as Facebook and Instagram now offer businesses paid for advertising. These sites tailor ads to reach businesses’ target audiences. Digital marketing specialists can offer to help you create effective social media ad campaigns. They can also help you to track their success using data analytics such as new followers, clicks, and likes. Email marketing is still highly effective. The right digital marketing specialist will know how to use email marketing to grow your business. Reputable digital marketing specialists will seek to organically build your email list. They use A/B testing and ensure that your emails don’t come across as spammy. Digital marketing specialists offering this service will help you to craft emails using solid research and measure their success in relation to your business goals. Content on the internet is king, but only if it’s unique, SEO friendly, and useful. Digital marketing specialists offering this service can help you to create useful content. They can also help you to create ad campaigns. Great digital marketing specialists will also make sure that your content adheres to SEO best practices. Content optimized for search engine discovery is key. Digital marketing specialists can help your business to adapt your content, emails, and website to mobile users. They will test content before it’s available to users to ensure mobile friendliness. They will also capitalize ads to reach mobile users within your target audience. They achieve this by using social media ads, app creation, and in-app advertisements. Digital marketing specialists offering this service should make your website user-friendly. They should aim for simplicity and SEO friendliness. Website developers can also help you to enhance your existing website by giving it a much-needed upgrade. Digital marketing specialists might also offer to create a digital marketing strategy as a service. This digital marketing strategy might include industry-related marketing research, platforms to use based on target audience research, and marketing strategies to meet your business goals. To get the most out of this service, make sure to do your own research first. Finding the best digital marketing specialist means matching your needs to their strengths. Many companies claim they can meet all your needs but is meeting your specific needs their strength or specialty? Ask digital marketing specialists what their strengths are. Ask them what they have the most experience in and how successful their marketing campaigns have been in the past. Lastly, check out their websites as well to see what services they advertise most frequently. Another element to consider before selecting a digital marketing specialist is your brand. How was does your brand match the digital specialist’s abilities? Imagine your brand is family oriented. You target moms and dads ages 18 to 34. You want to make sure that the digital marketing specialist understands this population. They need to know how to effectively relate to them. Great digital marketing specialists will be able to tailor any approach to any industry. But as a business owner, you need to make sure they completely understand your brand and what your company values most. If you’re not interested in completely rebranding your company then state this upfront. This lets the digital marketing specialist know you’re interested in expanding your current brand in a more effective way. Some digital marketing companies will outsource parts of their marketing efforts to other companies. For example, if they don’t have the manpower and resources to create unique content, then they may contract third-parties to do the work for them. These third-party companies may be well-qualified to complete these marketing tasks, but it could also cost your company more money. Make sure to always ask upfront if marketing agencies contract third-party workers. Ask if this will increase your digital marketing costs as well. If you’re okay with third-party marketers being involved in your digital marketing efforts, then make sure to research these companies as well. Some digital marketing companies are better than others. Some have a proven formula for success whereas others are just doing their best to meet company needs. Yet, they still may be falling short or dropping the ball altogether. Before you settle on a digital marketing specialist, make sure they provide credible service. Check their website to see what clients they’ve worked for in the past. Feel free to contact those clients in order to conduct a reference check. Read their customer reviews and client testimonials. Ask the digital marketing specialist for references as well. Interview them about jobs “gone wrong” and what they learned from those experiences. See where the digital marketing company ranks on search engine results. Higher ranking translates to reliability, traffic, and great SEO. Their website and social media pages should also be high-quality, well-maintained, and transparent. A reputable digital marketing specialist should be completely transparent about who they are, where they are located, and companies they’ve worked for in the past. If they don’t list basic contact information and credentials, then this is a red flag. These companies may promise great results at a cheap price, but what you actually get may not be what you expected or needed. Remember, you get what you pay for. Great digital marketing specialists should charge more for quality work. They will be able to tell you exactly what you can get for your money and won’t make false promises. They value their reputation, time, and services just as much as you value your business. So, beware when trying to save a buck! You likely will not end up with the marketing results you wanted and may have wasted money and time in the process. If a company seems reputable, but you’re still struggling to commit, then opt for a three to six-month contract with them. This will give the company time to prove to you if they’re a worthy investment. If they fail to perform based on your expectations, then you can cancel the contract and try another company. Digital marketing success may seem slow at first, but if a company is good at what they do, then they will be able to demonstrate your campaign’s progress using Key Performance Indicators. Key performance indicators are not random data analytics, but analytics that directly relate to your business’s goals and marketing strategy such as increasing sales. Key performance indicators include website engagement, traffic sources, and online campaign metrics. Online campaign metrics include data like cost per click, click through rate, and cost per acquisition. Another key performance indicator is social interaction. High levels of engagement, posts going viral, and long-term engagement are all positive indicators that a marketing campaign is successful and producing positive results which translate to brand loyalty, conversions, and content effectiveness. Ready to Hire the Best Digital Marketing Specialist? The best digital marketing specialists are knowledgable, track performance measures, and produce results. The best digital marketing specialist for your company will also know how to meet your specific business and marketing needs. Want to hire a qualified digital marketing specialist specializing in SEO, Facebook, Google ads, and email marketing? Let me help you with your digital marketing. Contact me today to discuss your digital marketing needs. I’ve been helping companies improve their search rankings since 2012 and can definitely help you with yours :-). Let me help you to get more website traffic and to help your target audience find you! Als mede-eigenaar van OnlineMarketing.nl en Maatwerk Online helpen we bedrijven en website eigenaren om het maximale uit hun online aanwezigheid te halen. 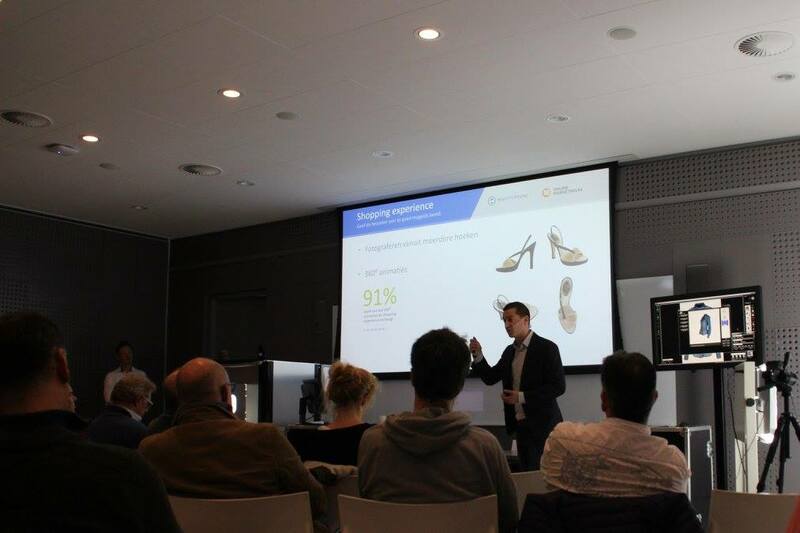 Het optimaliseren van webshops en nog veel meer.